Elements of the storyline were drawn from the life of Lydia Joyner, who was once a foster child. She is the writer/director/producer of the film Sunny Lane. 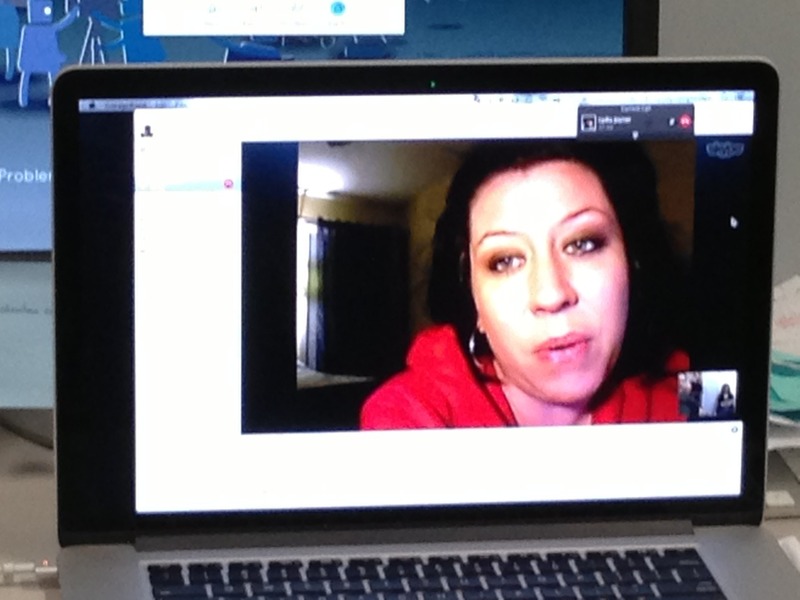 Here she is debriefing with participants via Skype. I am in a social justice class and we have each chosen a social justice issue that we will develop a project about. A friend and I have chosen similar issues which pertain to the foster care system and children’s rights after they are taken away from their parents. Part of this assignment is to come up with something that will bring awareness/make a difference in the social justice issues we have chosen. My friend, Erica, and I have come up with the idea to appreciate social workers who work to help these children. We watched a video which explains how 70% of a population will acknowledge a certain issue, but not be super motivated about it- unless they are swayed to. We would be affecting the 15% who are already motivated by appreciating them (the social workers). The reason we are emailing you is because we would like your help in creating something that will help sway the 70% of the population who acknowledges our social justice issue, but just doesn’t know how to get involved. We would really appreciate your time and help.